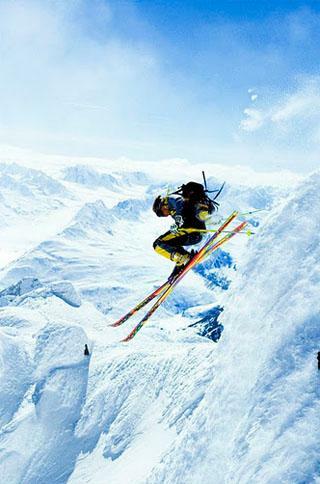 The sport of skiing is a world-renowned adventurous sport, whereby individuals of diverse cultures and backgrounds can come together and take pleasure in this electrifying activity. Many companies alike choose to coordinate corporate and business ski trips for business meetings or pleasure trips. During the winter months, visitors can enjoy skiing through breathtaking views of the world’s rare and distinctive mountain sceneries. • The Arrabelle at Vail Square located in Vail, Colorado accommodates business and corporate events. The resort includes a 2600 square-foot ballroom as well as 4 smaller meeting rooms ranging from 480 to 1,660 square feet. In addition to the sizeable conference rooms, the hotel resort provides full-service conference service department designed to organize the details of corporate events. The resort offers additional amenities that cater to group meetings, including high-speed internet service, secretarial services, fax transmission, photocopying, personal computers and printers. The guest rooms and dining establishments overlook the beautiful Vail Mountain, which includes 350,000 acres of national forest. Because the mountain surrounds the resort, visitors can enjoy having dining in the restaurants or just relaxing in their elegant fully-furnished hotel rooms while watching the snowfall swathe the stunning Vail Mountain during the winter months. While visiting the Arrabelle at Vail Square, visitors can utilize the 5,289 acres for skiing, snowshoeing, ice-skating and snowboarding. Visitors can enjoy skiing through the Nordic trails throughout Vail Valley. The resort area also houses the Colorado Ski Museum, which is an historic site that offers a variety of exhibits interrelated with the skiing and other related displays. • The Snake River Lodge and Spa is located in Jackson, Wyoming. This resort location is surrounded by Rendezvous Mountain, and it is also next to Grand Teton National Park. The hotel resort accommodates large corporate events. It houses a 5,500 square foot conference center, and an event planning department. The event planning department provides catering services, concierge services and high-speed Internet services. Visitors can enjoy skiing and snowboarding throughout the breathtaking mountain sceneries that surround the Snake River Lodge and Spa. It is also conveniently located near the Grand Teton National Park and the Yellowstone National Park. • The La Posada De Santa Fe Resort and Spa is located in Santa Fe, New Mexico. This resort and spa houses the Santa Fe conference room, which includes 4,500 square feet of ballrooms. Unique amenities provided by the resort include, audiovisual and teleconferencing equipment, catering services, concierge services, photocopying and printing. Visitors can enjoy skiing throughout New Mexico’s exhilarating mountain views. The LaPosada De Santa Fe Resort accommodates cross country and downhill skiing. There are a variety of different areas designated for adventurous skiers, such as the Ski Santa Fe, Angel Fire, Pajarito Mountain, Enchanted Forest, Sandia Peak and more. Planning corporate ski trips can be exciting as well as time-consuming. The best resorts that cater to corporate ski trips provide exceptional services as well as convenient amenities to facilitate the process of planning important corporate events. In addition to the business support services offered by these resorts, the sceneries that surround the resort should accommodate enough acres of space for adventurous skiing activities. Isaac writes on for St Martins Chalets a business based in the St Martins, Austria specialising in Holidays to Austria, St Martins are a great choice for a ski holiday in Austria.